San Felipe, Baja California – Marching against cancer is about to take a whole different meaning with the BAJA WALK 100, an inclusive adventure walk of 100 miles, to be undertaken in 5 days, beginning north of San Felipe Baja California, on Wednesday, March 2, 2016, and finishing on the Malecon in downtown San Felipe on Sunday, March 6, 2016. “As cancer goes on being a challenge that we, as a society, need to face, having a dramatic impact on the lives of so many people, we decided to organize this lighter but adventurous challenge with the BAJA WALK, to create a special opportunity to help raise awareness, prevent and fight cancer”, said Rachel Pack, Coordinator of the BAJA GOOD LIFE CLUB. The BAJA WALK 100 will be an inclusive challenge that, while sounding audacious, is organized as a fully-supported event. Participants will be given fruit snacks, water, shade and access to restrooms every 5 miles of the route, so to ensure that all those who want to participate can withstand the challenge. “This will also be a friendly and warm opportunity, where participants will get to camp for these days in 4 predesignated campsites in the San Felipe Desert, socialize with fellow participants and with friends and family who may want to join the event, especially at the night parties that we will organize. The point is to promote a healthy and fun experience as a way to address the dramatic problem that cancer is, while sending 100% of all the pledges and donations to the San Felipe Cancer Society and the Mujeres Que Viven, AC. This is our way of supporting their fight against cancer”, Rachel commented. 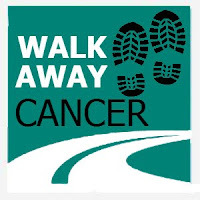 Those who are interested can learn more at www.BajaWalk.com, where they can also become registered Walkers – for $35 per day/per person, being also asked to raise a minimum of $100 USD per person by engaging their friends and family in this community effort to help prevent and fight cancer. Rachel added, “We are also calling people to join the event as volunteers, whether as interpreters, logistical helpers or health care providers. All in all, we want this to be a great opportunity for people to be together, share their stories, have fun and promote cancer prevention and treatment”. For more information, please contact thebajawalk@gmail.com or visit www.bajawalk.com. I had the honor and privilege of participating in the Baja Love Ride in 2011. This was a wonderful fundraising event benefiting the orphanages in Baja Mexico. 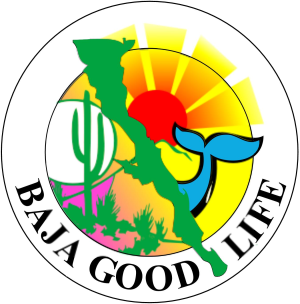 Created by John and Rachel Pack of the Baja Good Life Club (BGLC), this was a life changing event for me. I will be walking the 100 miles because I know that we will make a difference in the lives of many by our efforts. Please join us and support us in this challenge!